Experiential Marketing How do I make my experiential marketing work? How do I make my experiential marketing work? Experiential Marketing is a multi-sensory experience designed to build an emotional connection, but how does a business actually make it work? In this lesson; Shirra Smilansky author of Experiential Marketing, explains that to help businesses make experiential marketing work, she uses the acronym; BETTER. Grant Leboff: Shirra, in the book, you give the reader a model for making their experiential work and you use the acronym BETTER. So maybe you can explain that for the audience? Shirra Smilanksy: Absolutely. So BETTER is actually a creative methodology. It’s an acronym, so each letter of the word BETTER takes you through a different stage and helps you come up with ‘better’ ideas. Hence the name! So the first stage actually looks at three elements. The ‘B E T’; that’s the Brand personality, how to create an Emotional connection and the Target audience. So those kind of three stages each have different steps, which you can find out a little bit more about in my book, ‘Experiential Marketing’. Once you’ve followed those first three steps, you combine it and that leads you into the second section. The second section that combines the inspiration from the brand personality pillars, the multisensory palette you’ve created, when looking at the emotional connection and the target audience insights, would be a two way interaction. 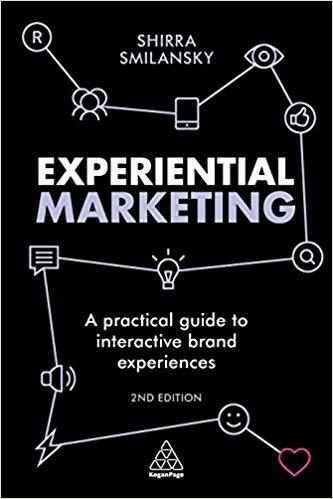 So two way interaction is the second ‘T’ in the model and it looks at how do you create that interactive, real world, participatory, live brand experience. Something which happens, whether it be face to face or remotely and brings that brand personality to life, engages your target audience, adding value to their day and creating something which, ultimately, is actually quite shareable. Because it is shareable and because we want to have our word of mouth spread beyond our real world, live brand experience participants and actually out to a much broader audience, the final stage – which looks at Exponential elements and Reach – does exactly that. With the Exponential elements phase, it’s a word of mouth trigger that you’re trying to build into your experience. How do we drive word of mouth in some kind of a structured way, whether it be through social media sharing, or a competition, cause action… a way that we can actually expand that message beyond our core participants. Then with Reach, It’s about the content. So pre, during and post an experience, what’s happening with the content? How is that narrative actually telling the story and communicating your brand messages; before people engage in an experience, during it – whether it be real time, live streaming of an experience – or what’s going on during the experience that reaches a much broader audience. Again, you can actually tap into your existing platforms here – back to your point about the client or the brand already having a lot of their own channels – and also things like media partnerships, influencers, PR… What are the broader ways that we can actually expand our content to a maximum number of people? Grant Leboff: And the second and third stage obviously dovetail out that that first stage and it starts to become a kind of logical next steps. So going back to that first stage, again, a lot of consumer brands have often thought about their emotional connection – they’ve maybe used it in different ways – but they thought about that. One of the things I always find interesting working with B2B brands and sometimes, some quite big ones is they haven’t really thought about this emotional connection at all. They’ve been much more focused on the rational drivers for purchase. So when you start to work perhaps in B2B environments, how do you help a business to start to define and think about that emotional connection with their customers.? Shirra Smilanksy: Well, interestingly enough, people see it as a polarized, rational versus emotional question, where either you’re much more emotionally focused – in a kind of fantasy brand or an aspirational brand sense – or rational products, service, functional messaging. From my perspective, I think that it’s important whether you are a, B2B brand or B2C, to create the right balance between obviously, understanding that if it’s a high involvement purchase, you do need those rational messages and create an emotional connection, in order to actually have that lasting brand recall and create that desire and action, you do need something which may be taps into the emotions of your customer. So helping to help your client on the B2B level, looking at it on the balance scale of emotional versus rational, can be very useful. In addition to which I think actually I’m taking a page from a neurosciences book is always nice, when looking at emotional messaging. It turns out that the part of the brain, the hippocampus – which is responsible for creating and storing memories and actually for attaching our subconscious fantasies to those memories as well, romanticizing our experiences – that same part of the brain is the one that also perceives the world and filters our experiences through our senses. So it’s actually proven that by creating a multisensory experience, you tap into the same part of the brain that will create a romantic, unconscious, positive fantasy and also store that memory, creating that long lasting impression that leads to action. There is actually a scientific reason why we should create multi-sensory experiences, in order to build that emotional connection, in order to create a longer term impression which will drive sales. This is something which is really applicable, whether it’s B2B or B2C and often in a B2B context, the customer lifetime value is very much higher than in a B2C context. Obviously it depends on the sector and the vertical we’re talking about, but if it’s valuable to you to acquire your customer and if creating that real world experience gives you an opportunity to convert them better and through a holistic method which adds values to their experience, well, it’s a good justification for doing so, B2B or B2C. One of the most important factors for engaging today’s audiences effectively is being transparent, being authentic and being true to who you really are. 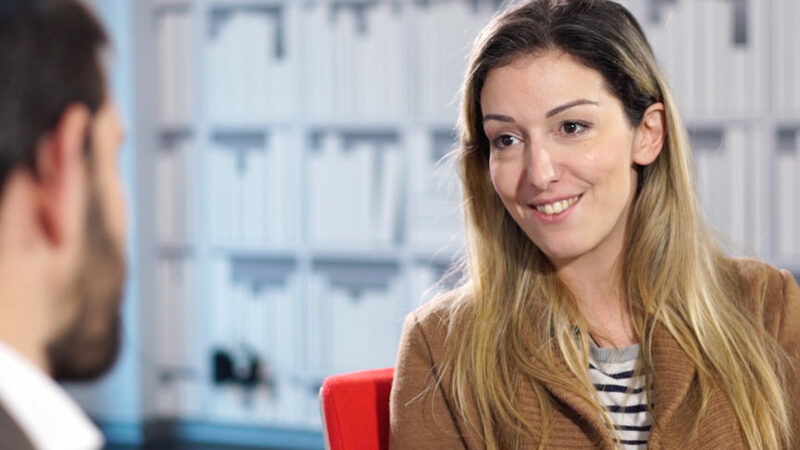 Shirra Smilansky explains that when it comes to brand storytelling, the brands that are really winning today are the brands with a story to tell. The term the ‘experience economy’ was first used in 1998 by B. Joseph Pine II and James Gilmore in the Harvard Business Review. In this lesson Shirra Smilansky brings it up to date. How can I make my digital platforms an experience? How does experiential marketing lead to sales? Would you recognise a live brand experiential marketing experience if you saw it? Shirra Smilansky explains what experiential marketing is and how to recognise it in your high street.